Dickies’ popularity extends far beyond the jobsite. The line between what’s being worn at work and in the street has become increasingly blurred. With an increase in the utility style living out across the world, Dickies plays a heavy part in cult favorite places like music concerts, skate parks - home of the official Dickies SKATE team, as well as top level automotive garages like Richard Rawlings’ Gas Monkey Garage. Many customers are discovering or rediscovering the brand outside of the worksite that speaks to them in an authentic way and we listen to them and design for the life they lead today. You can find proof of that in our collaboration with Opening Ceremony, our premium heritage line called Dickies 1922 and our mobility-focused 67 collection sold exclusively at skate shops. With more than 95% domestic brand recognition, you can rarely find a person that hasn’t enjoyed a great moment wearing Dickies. Whether your job is working with our ecommerce retail partners, designing the ultimate work pant or creating the latest in packaging designs, we’re united by the same purpose – work is not just what you do, it’s who you are. Wherever you sit at Dickies, be sure to bring your passion and talents to the job every day and be ready to push the limits of apparel innovation - because we believe our products should work just as hard as you do. Dickies offers a casual and collaborative work environment. We put unrestrictive guidelines around our dress code and instead encourage dressing for your day. We like to describe how we speak, behave and interact with each other as “easy-going”. Spontaneous conversations are the norm. By doing away with formalities, we aim to get to know each other better and establish authentic connections. We live by the belief that we can maintain high standards of professionalism and still focus on making the workplace relaxed and enjoyable, enabling you to be more creative at work. 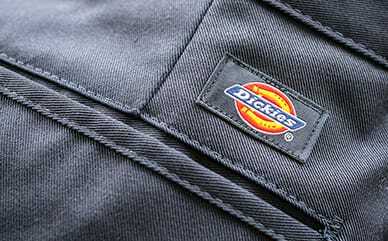 Like our products, the Dickies brand is honest, authentic and hard-working. We want our values and beliefs about our brand and its products to apply to our employees, as well. Self-expression and authenticity are traits we both value and encourage at work. We want our employees to be unafraid to showcase their unique personality and perspective and apply it to how they do their jobs. At Dickies, we’d rather you be self-confident about who you are rather than exhausted at trying to be what others expect. Dickies is the world’s leading performance workwear brand owning more of the work apparel market share than any other brand. 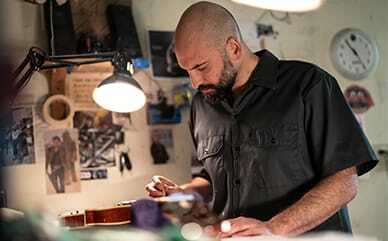 Available in more than 100 countries and worn for nearly every kind of work from manufacturing to healthcare, Dickies products don’t just wear – they perform. As the global leader in workwear, Dickies lead the way in many innovative workwear designs that are now industry standards. We were one of a hand full of brands that pioneered the permanent press process. We were the first to add phone pockets to work pants. We now collaborate with brands like CORDURA®, who offers military-grade fabrics made for the most abrasion resistant workwear in the market. And Temp-IQ®, which offers technologically advanced fabrics for body temperature management. At Dickies, we believe in performance-driven design that not only meets but exceeds our customer’s expectations about what their workwear can do for them.